A pretty and remote village in the rambling lanes between Halesworth and Debenham. 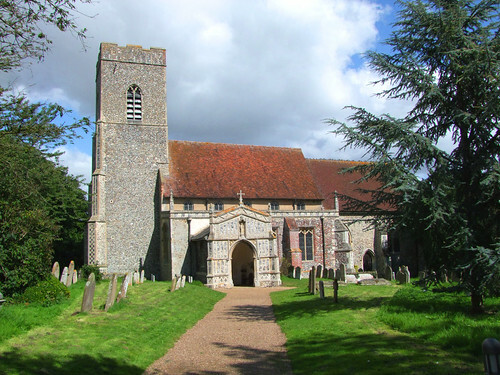 The church is a fine example of East Anglian late Medieval work. Famously, the nave and chancel roofs were painted by Mildred Holland, the wife of the Rector, in the style of the 15th century, over a period of seven years starting in 1859. Other furnishings were either painted by her, or are memorials to her.